Who else loves to decorate? I always see the most gorgeous interior design inspo while scrolling through Instagram and Pinterest, but I’m still learning how to put it into practice in my own living space! We have a studio, so for me it’s all about doing what we can with a cute, smaller space. 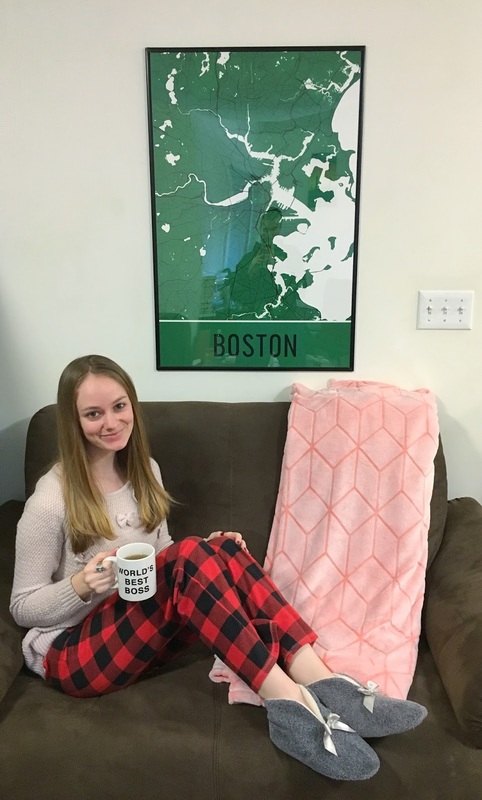 Even though we moved in over a year ago, the only major thing we put up on the walls were a large Audrey Hepburn canvas from Ikea (which I refuse to part with), and a Boston skyline canvas I painted at a Paint Nite a couple years back. 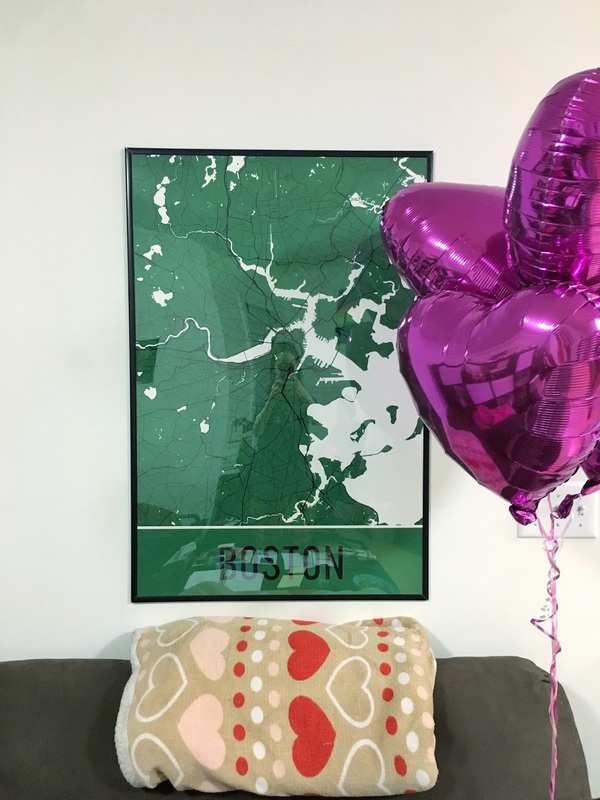 I’ve been on the lookout for a good piece to put over the couch and finally found this gorgeous Boston map poster which you can order from Modern Map Art! I got the poster frame from Target for around $11 which really pulls it together as a focal point for the room (thanks for that idea Molly!). 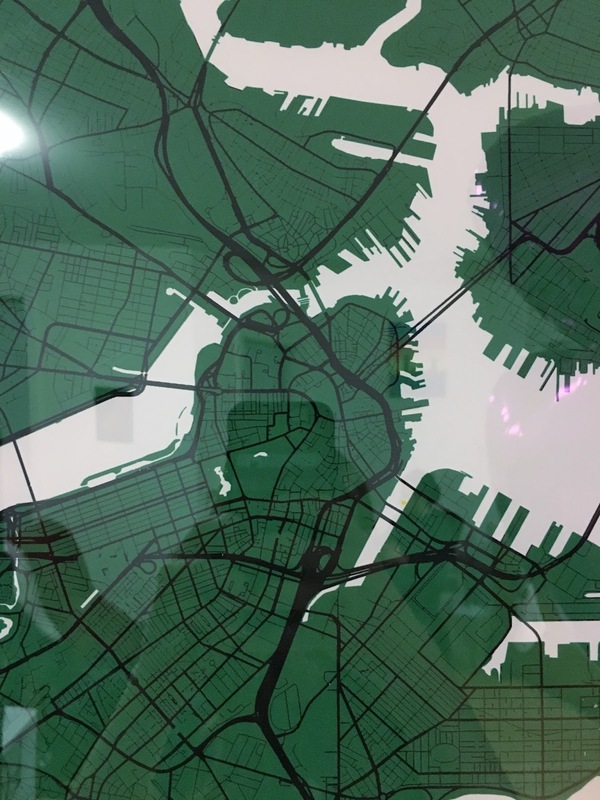 Modern Map Art creates these stunning high-quality prints for tons of major cities (over 600 of them, so yours is probably on there! ), countries, ski maps, fun watercolor skyline prints, and even map pillows and phone cases! I love their attention to detail – look at those side streets and how every nuance is included. I especially love how these maps can be a great way of keeping memories or places you’ve lived or visited close to you. Did you spend a summer in Vienna? Went to college in NYC? There’s a map for all of your memories, and it’s such a chic way to display them and create a talking point / excuse to tell all of your wanderlust travel stories! 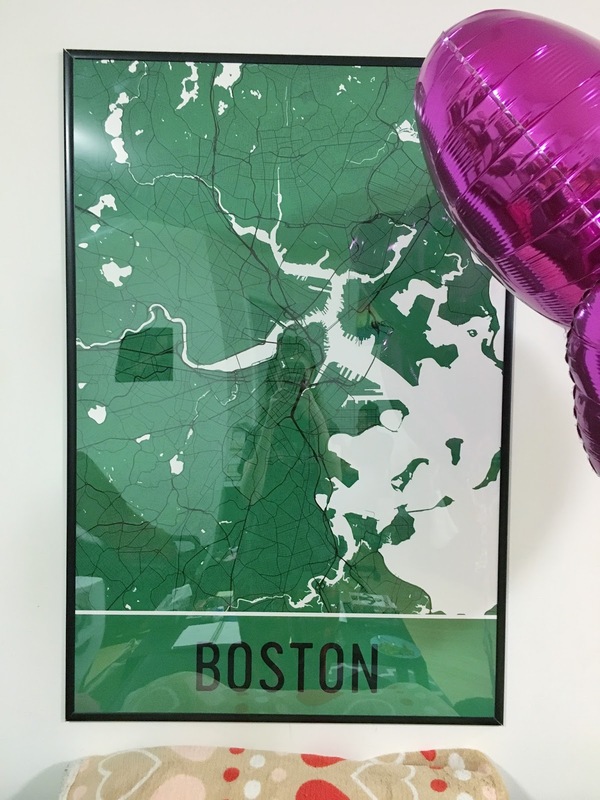 They have such a great selection of locations, sizes and colors, any of which would make such a perfect gift for a friend or family member who has everything, someone who just moved into a new home, or for those friends who have exceptional local pride! Comment Challenge: What location would you choose to frame in your home?